Is travel insurance worth it? Great question, and one that we are often asked. 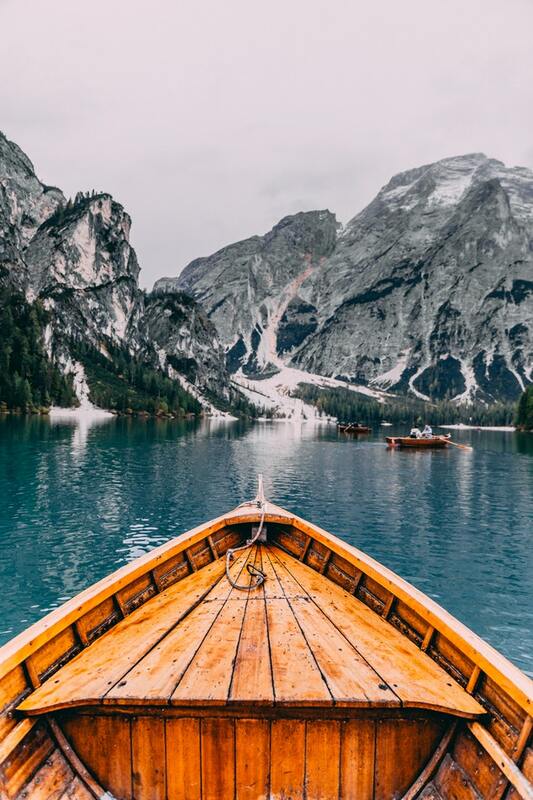 We think that in order to better understand if travel insurance is worth buying, it is worth looking at the policy benefits when you buy travel insurance. 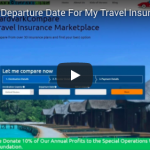 We will use, by way of example, the iTravelInsured Travel SE plan. It is one of our most popular policies, particularly for travelers heading overseas. They enjoy great peace of mind knowing that they have strong medical and evacuation cover. But, there is far more than this in a typical travel insurance policy. We think of trip insurance as being a mini-version of the insurances that we tend to have at home. So, travel insurance protects your contents when you travel, and it protects your health. Think of travel insurance as being a temporary home and health insurance plan, and you will have a better idea of the cover available to you. That leads to the next question – how is travel insurance worth it if I already have home and health insurance in place? Great question! For most of us, our home contents plan will not offer much support away from home – certainly for things like lost or delayed baggage. And very few of us have a health insurance plan that works outside the US. So, when we travel internationally, the policies we rely upon at home probably offer very little, if any, protection. Finally, our home and health insurance is not going to support us should we need to cancel an expensive trip because of work or health reasons. Again, that is where the protection from travel insurance comes in. Let’s take a look at the iTI Travel SE trip insurance policy so as to learn more about the benefits. Whilst the iTI Travel SE policy is typical, it is not the only policy we offer. 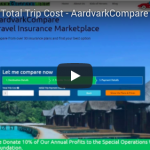 Indeed, the entire point of our service at AardvarkCompare is to be able to compare many of the best travel insurance plans in the US, so as to get best value. But, the iTI Travel SE is a good plan to look at. Trip cancellation protection is one of the main reasons that make a travel insurance worth it, from the perspective of a typical traveler. Oftentimes we book our trips a long way in advance. Certainly this is the case for many of our international travelers. They get better value by booking trips and cruises a long way into the future. Frequently, our trip costs are not refundable should we need to cancel. This eventuality worries many of us who travel. We gain peace of mind by ensuring that there is trip cancellation protection in place. Trip Cancellation insurance covers us should we get sick or seriously injured. If a family member becomes seriously injured and we need to take care of them, travel insurance offers full compensation. Should we get selected for jury duty, or have our work-approved vacation cancelled, then again, trip insurance is designed to compensate with a full refund. Trip Interruption protection is a lesser-known benefit of travel insurance, but does something really helpful. It will get you to your trip if you need to depart late, or get you back from your trip if you need to leave early. Trip Interruption will compensate you for your unused days of travel as well as pick up the additional transportation costs to get you to or from your trip. We like this benefit a lot. It is used when travelers are subject to the same sort of conditions that exist for trip cancellation protection. So, if death, serious illness or injury were to occur to you or family members, these, and a whole host of other covered reasons, are protected by Trip Interruption insurance. Note that with many travel insurance policies, trip interruption protection offers more compensation than the actual cost of your trip. This is because the cover is designed to compensate you for your loss. It is possible that you lose your entire trip costs, as well as additional transportation costs. Hence the additional levels of travel cover that are offered. If the airline causes you to be delayed, Travel Delay cover can help with costs that you may incur. But, we also see Travel Delay benefit helping in the event of weather delays, traffic accidents, and even loss of passports. Airline or weather delays of more than six hours could prevent you from getting to your cruise or tour. Missed Connection benefit will compensate for any additional costs to join your trip, and reasonable expenses during the delay. However, our advice is always to plan to arrive at your port of embarkation at least a day in advance. Take the time to arrive relaxed and refreshed, rather than getting stressed about yet another airline delay. Direct airline flights are always better than trips involving aircraft changes. Every flight connection creates additional risk in getting you and your bags to the port on time. So, travel early, and travel direct, if possible. In the unlikely event that your airline were to become bankrupt, and a change fee was put in place to allow you to get a new ticket, the change fee benefit would be available to support you. We imagine that this is not a benefit that gets used very often, but is nice to have. 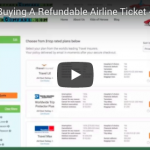 Oftentimes we do not use cash to make a flight booking, relying on airline points instead. If we had cancelled our trip for a covered reason, the travel insurance carrier would not be able to refund you the flight costs, as you did not make a payment in money, but in points. However, many airlines will allow you to make a cancellation of a points-paid flight, and re-credit those miles, after you have paid a points-reimbursement fee. We now see with many trip insurance policies that there is a benefit available to help cover the costs of points reimbursement. For those of us who have had bags lost or stolen, baggage insurance may be one of the items of cover that makes travel insurance worth buying. If bags are lost, damaged or stolen, then baggage protection insurance can help. Note that there will always be cover limitations in terms of the amount of cover per article, as well as the types of contents that are covered. For this policy, we see a maximum of $250 of cover per article. Also, some contents will never be covered. Cash, medication, and eyeglasses are all examples of contents that will not be covered by baggage insurance. We like to travel with as few valuable items as possible. Those that we do travel with, we keep in our carry-on baggage, rather than leave in a suitcase. We have produced a very helpful guide as to how to avoid having the airline lose your bag in the first place. All that is required is a couple of business cards in every suitcase you travel with. Baggage Delay Protection does as the name implies – it pays up to $250 for reasonable expenses in the event that the airline delays your baggage. Travel Medical Insurance is perhaps the most important part of a travel insurance policy. If you really want to know if travel insurance is worth it, then think about an expensive hospitalization overseas. Sickness or injury can occur at any time, although few of us want to think about it during a vacation. Most US health care plans offer no support when we travel internationally. Medicare does not offer support for overseas travel either. Even those who have specialized Medigap plans will find that the cover offers only a lifetime benefit of $50k, plus a 20% co-pay. With international private hospitals charging up to $3k-$4k per night, we wish to ensure that robust travel health insurance is in place. Our recommendation is that a minimum of $100k of travel medical insurance be taken when traveling internationally. Our most popular plans have this level of medical cover. Medical expenses in the event of a long hospital stay can be high. A private-jet emergency medical evacuation can be stratospheric. A specialist medical team can be paid for to get you to safety, and into the best hospital. Is travel insurance worth it? Certainly in these instances. A near-shore private jet medical evacuation can cost close to $100k. When traveling more remotely, or off-shore, we like to see emergency medical evacuation cover of at least $250k. Medical Evacuation cover is a simple insurance, that has very little cost, but potentially life-changing benefits. Emergency Evacuation insurance, and Travel Medical insurance, offer the lowest costs but highest cover within any trip insurance plan. We all wish for peace of mind when we are away from home. Strong Travel Medical and Medical Evacuation cover should help provide this. We are never sure of the benefit of having accidental death and dismemberment benefits within a policy. However, in the wildly unlikely event that an airliner were to crash or a ship to sink, it is nice to know that there will be some life insurance benefits for surviving relatives. A complement to any Travel Medical insurance is a Pre-Existing Medical Condition Exclusion Waiver. Long-standing, stable, medical conditions will be covered by travel medical insurance. But new medical conditions, or changes to an old medical condition, will normally be excluded from cover. We have the same issue whenever a new medication is prescribed or an old medication is changed – the medical condition is normally excluded from travel insurance cover. When we say ‘new’, this is dependent on the policy itself. The best travel insurance policies only concern themselves with issues within the last 60 days prior to buying trip insurance. Other trip insurance policies will ‘Look Back’ 180 days – a very long time in our opinion. 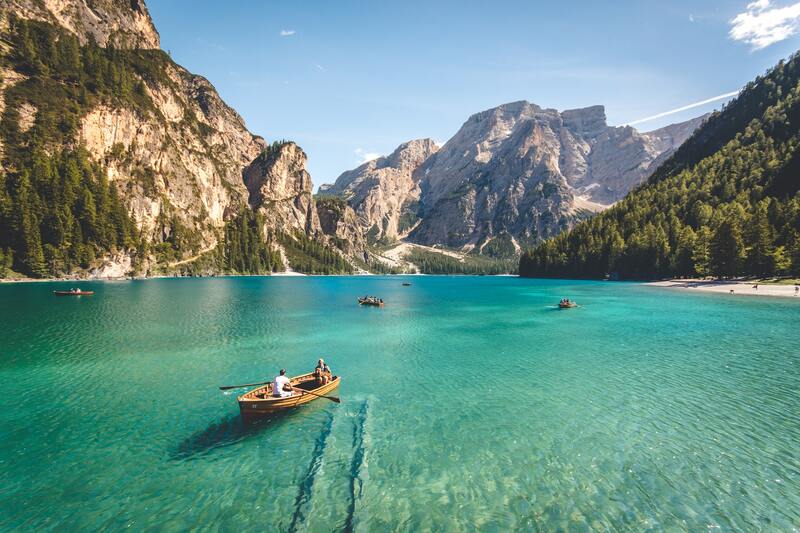 In the event that you find yourself with a pre-existing medical condition that would normally be excluded from travel insurance cover, there is a solution. Buy travel insurance that includes a Medical Waiver. Pre-Existing Medical Condition Exclusion Waivers exist within the more comprehensive travel insurance plans available on the market. Activating the medical waiver is simple. All you need do is buy trip insurance that includes a medical waiver within a couple of weeks of any initial trip deposit or payment. This critical period of time to buy trip insurance is called the ‘Time Sensitive Period’ and is typically 20 days on most travel policies. If you buy travel insurance early, your medical waiver will be activated, and peace of mind achieved. 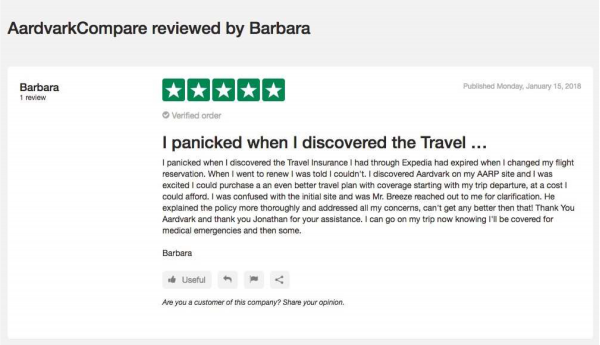 Remember, travel insurance does not simply exist to write checks when things go wrong. 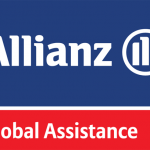 Every strong travel insurance plan should come with 24/7 Emergency Travel Assistance. Something as simple as help with a lost visa or passport, to more complex issues such as a recommendation of a hospital or clinic. Emergency Travel Assistance teams are on hand to help you, night or day, wherever you are. Conclusion – Is Travel Insurance Worth It? Strong travel insurance protects against a multitude of risks that could ruin a trip, or create financial chaos. In general, if you buy travel insurance quickly after your first trip payment, you will get better value for money. You will unlock time-sensitive benefits, and enjoy long-term trip cancellation protection. 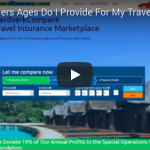 What Travelers Ages Do I Provide For My Travel Insurance?